Want to see all the technologies used by opentable.com? OpenTable, part of The Priceline Group (NASDAQ: PCLN), is the world's leading provider of online restaurant reservations, seating more than 21 million diners per month via online bookings across more than 40,000 restaurants. The OpenTable network connects restaurants and diners, helping diners discover and book the perfect table and helping restaurants deliver personalized hospitality to keep guests coming back. The OpenTable service enables diners to see which restaurants have available tables, select a restaurant based on verified diner reviews, menus, and other helpful information, and easily book a reservation. In addition to the company's website and mobile apps, OpenTable powers online reservations for nearly 600 partners, including many of the Internet's most popular global and local brands. For restaurants, the OpenTablehospitality solutions enable them to manage their reservation book, streamline their operations, and enhance their service levels. Since its inception in 1998, OpenTable has seated over 1 billion diners around the world. The Company is headquartered in San Francisco and has bookable restaurants in more than 20 countries including Australia, Canada, Germany, Ireland, Japan, Mexico, United Kingdom and the United States. 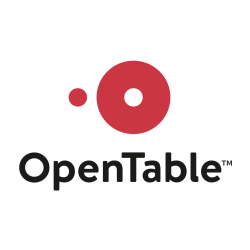 For a quick look at additional technographic info on opentable.com or any domain on the web, download our Chrome Extension. Check out our help article to see how Datanyze Insider can help you.